Swapnapurti Hall, S. N. 124/12 Kothrud,near by MIT College,behind Shilpa Society,Pune - 411038. Morning 10 a.m. to 1 p.m. The given map will help you to come to the right place .The Swapnaputri is well situated in the center of the city and very close from Swargate, Balgandharva Natya Gruha and Deccan PMT stand. 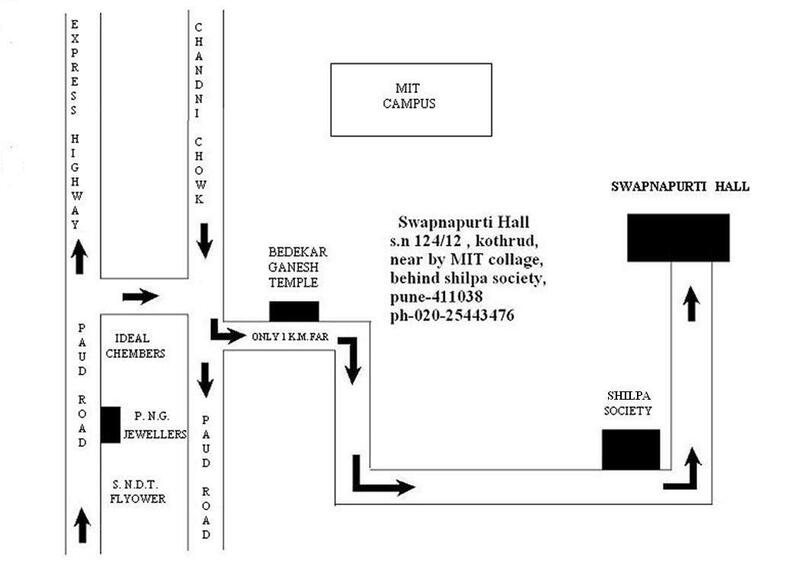 The MIT College,Kothrud is a well known landmark of Swapnapurti Hall.